The thing that kills this for me is that the Autobot symbol that is clearly molded on his forehead is NOT painted red. Even the SS version has red forehead symbol. Why are TT getting cheap with the paint apps on MPM? Though I guess it's not as egregious as MPM Prime not having the back half of his thighs painted. Definitely like the battle mask of MPM7 whereby the eyes of Bumblebee is like bee hive alike. 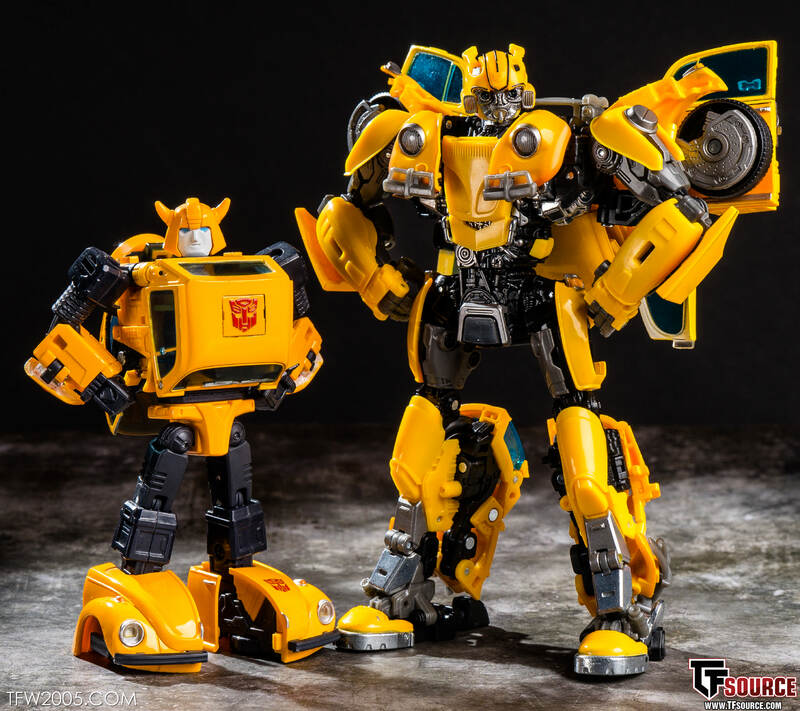 o honestly for those who have owned it, Masterpiece Bumblebee(movie) vs Studio Series Bumblebee (movie). Are they so different that it's worth buying both or just one or the other is fine? I already have SS Bee and wondering if MPM Bee is worth it. Is this supposed to come to any US store since TRU is now gone or do we have to get it online? He looks fairly good, though, there are still issues I have with it that I can't justify buying it just yet. Door wings are one thing, but those wheels jetting out past his arms look pretty bad. Even the original CGI model with the doors didn't have that; they are supposed to sit behind his arms. He's also way out of scale. This Bee should be close to MP G1 Bee's height—only a head taller. I do like his overall design though so I may consider getting him one day. Nice gallery! But there are still some facts that let me regret my buy of MPM-7: Beside the difficult last step of the Transformation it is of course the screen accuracy which bothers me. The wrong position of the wings and wheels in robot mode. The flat chest. The angry looking face. The cheap rust effect in car mode. The bright blue windows. 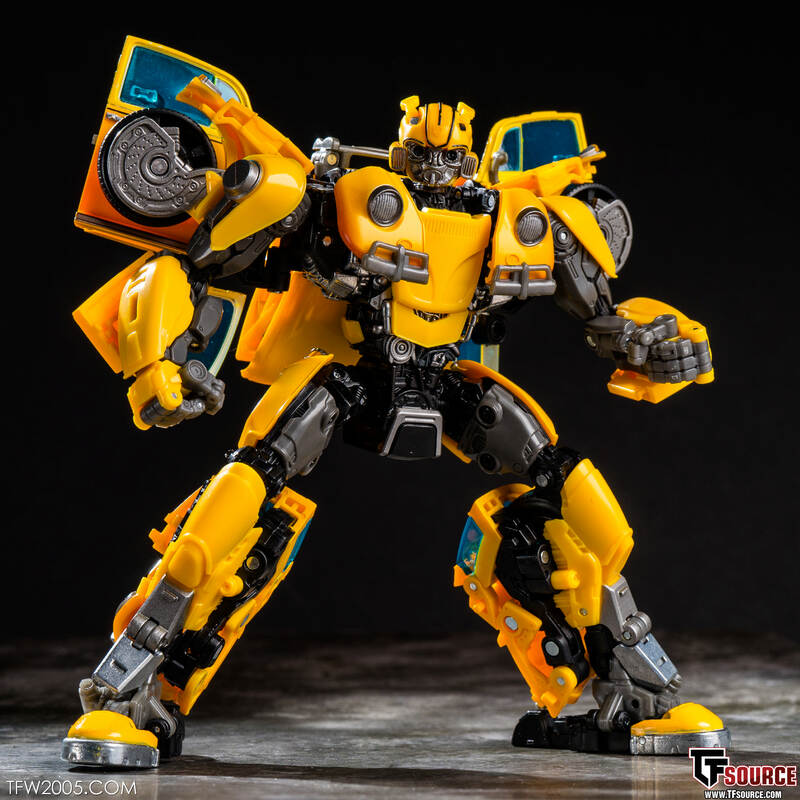 IMO the figure with the most screen accuracy at the moment is Power Charge Bumblebee. If you look at the figure overall its the definite version at the moment. 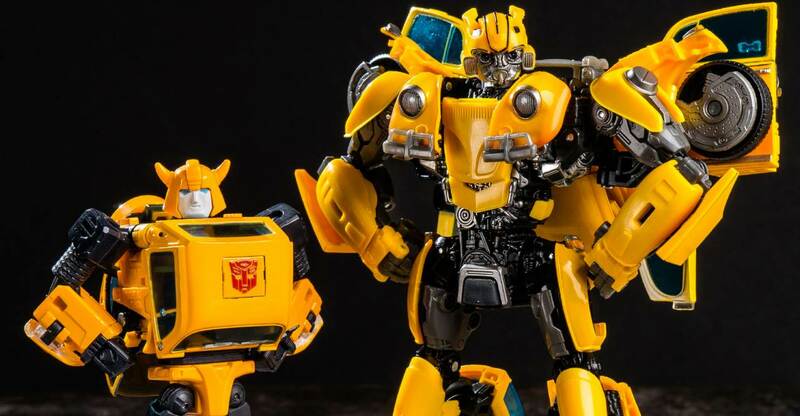 But I can‘t wait for ThreeA Bumblebee. 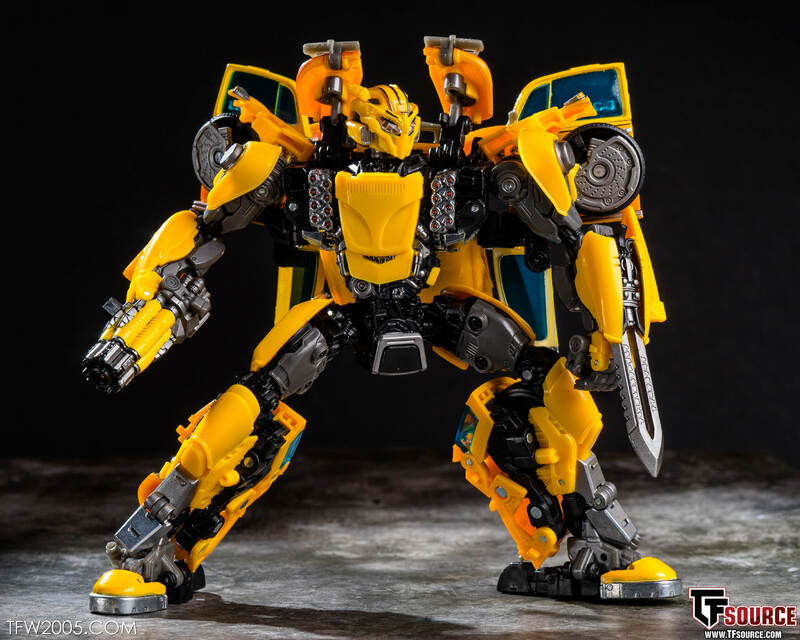 Heh, I've just noticed he has a silly face on his chest….This is the best (of a very bad crop) of movie Bumblebee designs but can't stop seeing it now. 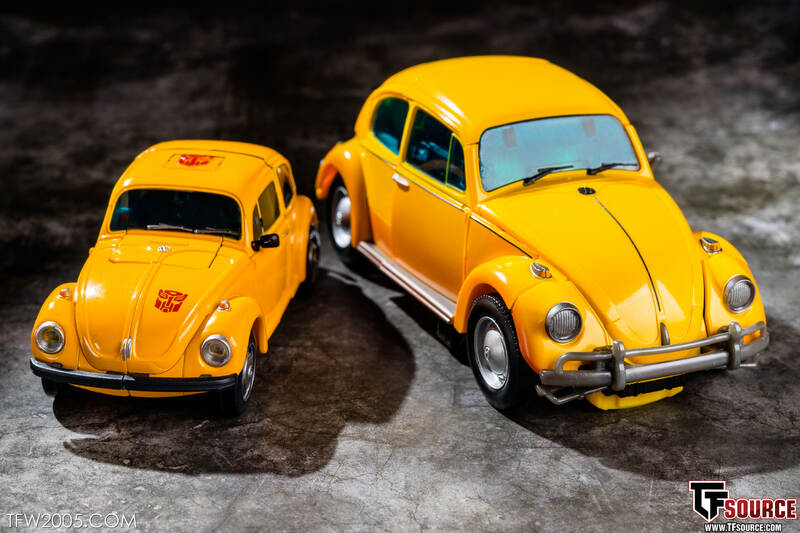 I like the side by side display of the Volkswagon car mode. Makes me wonder what 3P will do. Probably the same thing as a Baby Shark does…. Will make the doors fold out of view, & add paint detailing. I don't care that they're not screen accurate, I like the door wings. The absence of them in the film just looks strange to me. I'd much have preferred that they left them in. They really pull the whole design together. Aren't you supposed to be able to adjust the wings for screen accuracy? Not to my knowledge. It would definitely be in the gallery if you could. This is way better than the V3 Prime gallery! Oh….wait.